Instant eCheck blackjack sites are real-money casino websites offering blackjack games and the option of using eChecks as a deposit method. The word eCheck is a shortened version of the phrase “electronic check.” That is literally what an eCheck is – an electronic version of a paper check. You can use this form of payment to make payments to any number of online retailers. 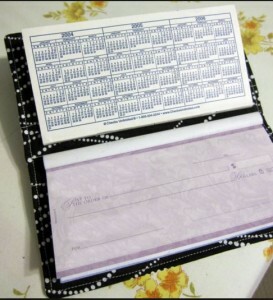 The payment is drawn from your checking account, just like with a paper check. All you need to make a deposit to a blackjack site with an eCheck is a checking account and a few basic pieces of information. We go into more detail on this subject in the How to Use an eCheck section below. Because eChecks are nothing more than standard ACH transfers, you can use them at the vast majority of real-money blackjack sites. ACH stands for Automated Clearing House. It’s the big electronic network that American financial institutions use as the infrastructure for payment processing. It is not to be confused with EFT, which stands for Electronic Funds Transfer. Basically, it works like this: an eCheck is a type of EFT, using the ACH network to process a payment. When an eCheck transaction is triggered, the funds are electronically withdrawn from the payer’s checking account, then transferred over the ACH network, before being deposited into the payee’s checking account. Business owners that already have a standard ACH merchant account can withdraw these payments directly from their customer’s bank account, provided the funds are in exchange for a good or service. All of these payments must first be authorized by a customer, either according to an established contract, via acceptance of a site’s “Terms and Conditions” page, or even by a recorded voice confirmation over the phone. If you understand the process behind the processing of a paper check, you understand how electronic checks work. The main difference is that eCheck processing times are faster. Think of it this way – with a paper check, you have to fill out the check itself, send it to the business you’re paying, and then they have to process that payment. At that point, the process is identical to an eCheck, depending on the existing ACH network. A business seeking payment must first get an authorization from the customer to proceed with the eCheck transaction. At real money online blackjack sites, this is done via an online payment form. Other businesses may use an order form requiring a signature or a conversation over the phone. Once the authorization is finished, the business receiving payment puts that payment information into their processing software. Payers can also set-up recurring eCheck payments at this time. After the information is entered and verified, the actual electronic ACH transaction process begins. Payments are automatically withdrawn from the customer’s bank account. The business has software which sends a payment receipt to the customer electronically. The actual payment is deposited into the appropriate bank account. Funds usually take three to five business days to deposit once the ACH process is triggered. There’s no way around it – eCheck payments have to be associated with a personal checking account held at a bank. They can be used for a number of different purposes – shopping, online bill payment, and pretty much anything you could use a standard paper check for. Obviously, you can choose to use this method to fund an online casino account to play blackjack, provided all the above is legal where you live. Good news for blackjack players using instant eCheck payments – they probably won’t cost you a penny. You can find plenty of blackjack sites that don’t charge a penny for these transactions, though most sites charge a couple of bucks. You should never pay more than $5 for the right to use an eCheck transfer. eCheck merchants (businesses who accept eChecks) pay relatively-small fees, and they pass that savings on to the customer as an incentive to use this really-convenient method. These merchants pay between $0.30 and $1.50 per transaction, depending on the contract worked out between the merchant and the payment processor. Some merchant account hosts charge even less, because the market is really competitive. Others charge a monthly fee rather than a per-transaction fee. Basically, it costs so little for merchants to accept eChecks, and it’s so convenient for them, that they either eat the cost or charge you very little for the service. We’ll be honest – ACH transactions aren’t necessarily the safest way to make a deposit. After all, you initiate these transactions by giving a business your bank account number and your bank’s routing number. Those two things can be used right away to withdraw money out of your account without your permission. This is sensitive information you’re handing over, and it requires some safeguarding on your end. Having said that, there are ways to set up ACH payments that protect your sensitive details. According to data from national reporting agencies, about 3 out of every 10,000 ACH transactions are rejected because of suspected fraud. That means something like 0.0003% of all eCheck transactions are suspicious. That’s a very small number. Blackjack players love eCheck casino deposits because they’re fast, they’re secure (depending as they do on the tough security measures of your bank), and they’re widely-accepted. Best of all, eCheck payments are free. Again, this is because they use the mechanisms already in place for the widely-used checking account payment system, and because the ACH system is the country’s most-active and most-secure payment processing system.